You went to a vacation timeshare presentation with the intent of listening politely and walking out with nice dinner or free hotel stay. You ended up signing a timeshare purchase contract even though you had no intent to buy a timeshare when you first strolled into the meeting. If you purchased a timeshare and you need to cancel the deal, what can you do? It’s a legal contract! Do you want to get out from under your timeshare obligation? You’ll need a lawyer. 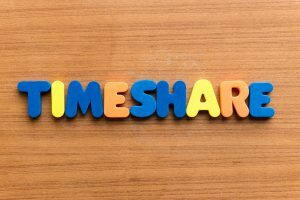 Read on to learn more about Florida timeshare cancellation law and how to legally cancel a timeshare contract. By the end of a presentation, you felt worn down by the high-pressure sales pitch. You wanted out so badly that you signed a timeshare purchase contract even though you had no intent to buy a timeshare a few hours earlier. Timeshare buyers in Florida have the right to cancel (rescind) their contract until midnight of the tenth calendar day following the execution date or the day on which the purchaser received the last of all required documents, whichever occurs later. The seller cannot ask or require you to give up this right. All money paid must be returned to the buyer if the proper cancellation procedure is followed in the time allotted. The cancellation must be in writing and is effective at the time of postmark or transmission delivered by postal service or telegraph. Otherwise, your written notice is effective the date it is delivered to the timeshare developer’s place of business by the delivery service. A lawyer can make sure the cancellation letter includes certain legally required information, like the date of the purchase and a legal description of the timeshare, as well as make sure the letter is properly delivered in accordance with Florida law. What Happens After the Tenth Day? Once the rescission period passes without cancellation, you have to sell your timeshare to recover your money rather than get a refund. In a few situations, however, an attorney can help you cancel a timeshare contract even after the cancellation period has expired. Laws exist to defend you against deceptive and unfair business practices. With consumer protection laws, you have the right to dispute the contract due to breach or consumer rights violations. The law says that if unfair or deceptive practices were used for financial gain, you should receive a fair settlement of your warranted claims. If you must sell your timeshare rather than get a refund, you have certain rights. Under Florida law, “Resale Service Providers” are required to disclose in writing the fees and costs relating to advertising, listing, or sale of a timeshare interest. Collect any payment or engage in any resale advertising activities until you deliver a signed written agreement for the services. Fully refund to a timeshare owner within 20 days of a valid cancellation request. Print in bold type no smaller than 12-point font a full disclosure statement, in the space, immediately preceding the timeshare owner’s signature. Resale can be quite costly. It is almost always better to seek legal termination of your timeshare contract with an attorney. A business contract is considered a binding legal document. However, it does not mean that it is absolute and final. Timeshare companies often encourage (or even push) the false information that a timeshare contract is final and unbreakable after signing. Under Florida and US law, you may cancel a timeshare contract for a variety of reasons, including fraud or deceptive sales practices. Seek legal counsel as soon as possible if you decide you want to cancel a timeshare contract. There is a specific timeline for each possible action. Were You Provided Honest Disclosures? Consumer Protection Laws require the seller to provide full disclosure of all terms, conditions, and full disclosure prior to executing a financial commitment. Do you recall these points? An experienced timeshare attorney can tell you how to legally get out of a timeshare contract. Especially if you suspect fraudulent or dishonest selling practices, contact an attorney for help, even after the cancellation period has expired. Still Think You Are Stuck? The people who sold you your timeshare might have said that the contract is forever binding and cannot be canceled after the tenth day. Even if there is a clause “in perpetuity” supposedly binding you and your heirs to the contract forever, including binding your heirs and successors to inherit all financial obligations–there is still a way out. An attorney specializing in timeshare cancellation law can help you exit your timeshare contract in a legal manner. Don’t believe timeshare companies that spread the fake information of “no cancellation” after the tenth day because it isn’t true. The law allows a timeshare contract to be terminated if deceptive, unfair, or fraudulent sales tactics were used to sell it. 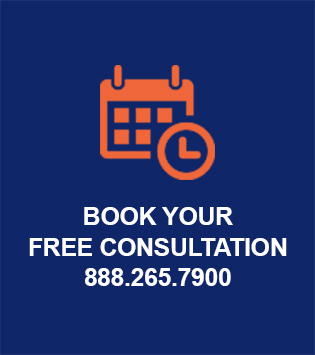 The right lawyer can advise you on the choices available to you in canceling your contract. Time is very important in timeshare cancelations, so seek an attorney’s help as soon as possible. A lawyer can guide you through the proper legal procedure and ultimately save you money by severing the contract. There is a brief cancellation period of ten days to cancel your contract without much fuss, but a good attorney can help you exit legally even after that date passes. More questions or comments on this article? Please schedule an appointment to talk to us.